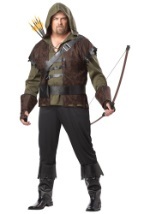 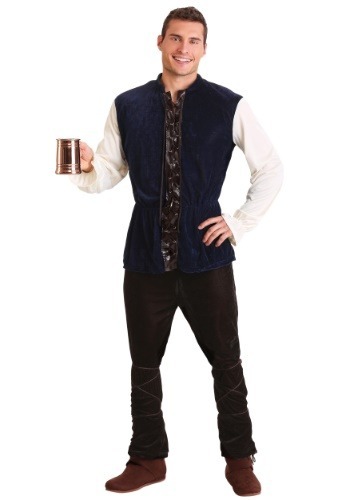 Become a Renaissance tavern man in this costume! 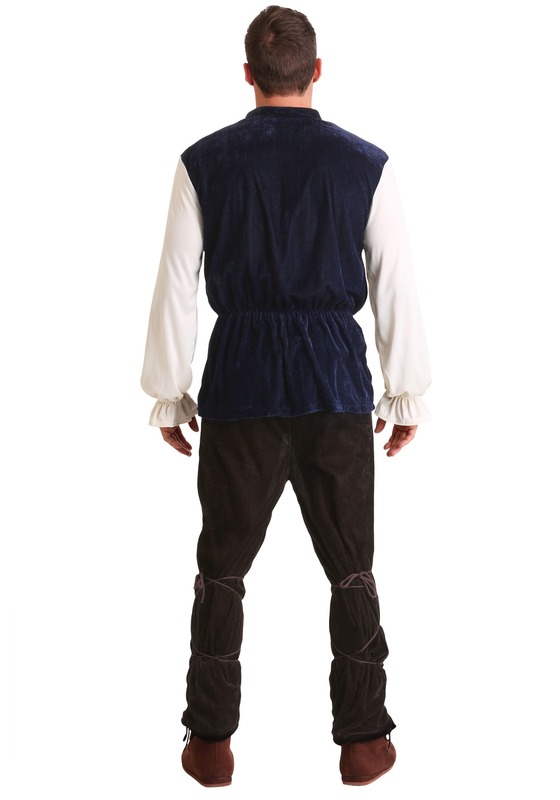 The shirt is navy blue colored with cream-colored sleeves. 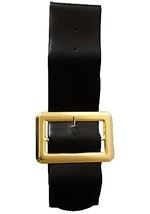 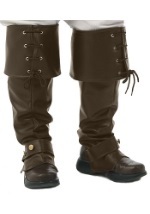 The shirt has a faux leather middle that closes together with brown cords. 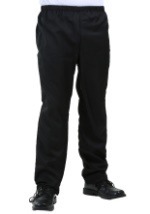 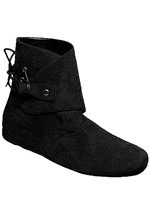 The brown pants has an elastic waistband with attached brown cords for securing the pant legs. 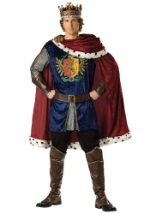 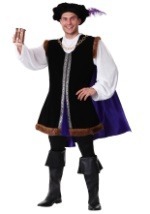 You'll look the part when you wear this realistic Renaissance costume!